Laws, doctrines, policies, statutes, rules, regulations. Different words with the same general concept. Rules exist to keep order and harmony; be it in a government setting, in a classroom setting, or even in a computer lab. Imagine yourself as a teacher in that particular university, teaching students the basics of programming as part of their chosen course, Information Technology, say at the University of California, Berkeley. Imagine you walk in the room, and the first thing you see are college students playing Defense of the Ancients (DOTA) or League of Legends (LOL) in their computers, or browsing through social media, or even worse, sleeping in your presence! So what do you do? You implement rules and regulations inside the computer lab so that proper etiquette and behavior will be observed during class sessions. Thanks to the advancement of today’s technology, computers and networks can provide access to resources on and off campus, as well as the ability to communicate with other users worldwide. Such open access is considered a privilege, and for that, it requires that individual users act responsibly every time. Users must respect the rights of other users, respect the integrity of the systems and related physical resources, and observe all relevant laws, regulations, and contractual obligations. Students and employees may have rights of access to information about themselves contained in computer files, as stated in various federal and state laws. All files may be subject to search under court order if ever something goes amiss. In addition, system administrators may access user files as required to protect the integrity of computer systems. For example, in following certain organizational guidelines, these system administrators may access or examine files or accounts that have been reported for misuse or that have been corrupted or damaged. All existing laws (federal and state) and University regulations and policies apply, including not only those laws and regulations that are specific to computers and networks but also those that may apply generally to personal conduct. Misuse of computing, networking, or information resources may result in the restriction of computing privileges. Additionally, misuse can be prosecuted under applicable statutes. Computer users may be held liable for their conduct under any applicable University or campus policies, procedures, or collective bargaining agreements. Any and all complaints that involve misuse or destruction of property shall be directed to the personnel in-charge. Reproduction or distribution of copyrighted works, including, but not limited to, images, text, or software, without permission of the owner is a violation and an infringement of U.S. Copyright Law will be subject to civil damages and criminal penalties, which includes fines and imprisonment. Using someone else’s account without proper authorization or consent. Getting the password of another person’s account without permission. Performing an act that will knowingly slow down operations between the computer and the network and the peripherals. Using emails with malicious content to harass others. Masking the identity of the account or machine. Posting certain materials on electronic bulletin boards which violate existing laws or the University’s codes of conduct. Certain activities will not be considered misuse when authorized by appropriate University officials for security or performance testing of said units. 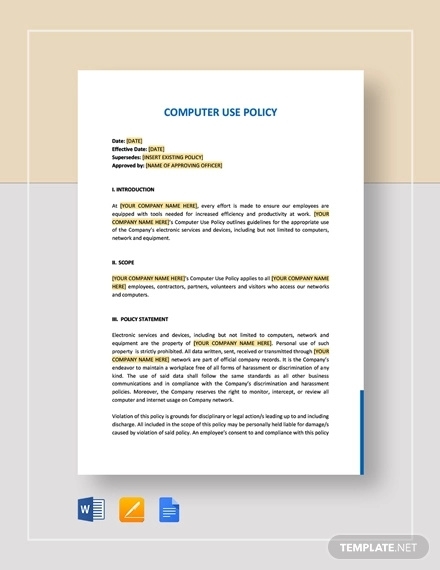 The Computer Use Policy applies to use of all Berkeley Campus computing resources. Additional computer and network use policies and terms and conditions may be in place for specific electronic services offered by the campus. In particular, the CalMail and Home IP services, as well as the Microcomputer Facilities, have other additional policies that govern the use of these services. The University of California Electronic Communications Policy applies to the use of UC computers and networks for electronic communications. It is important to familiarize yourselves with any of these when you agree to use these services. UC Berkeley extends to students, faculty, and staff the privilege to use its computers and network. When provided access to the campus network, you are permitted and allowed to send and receive electronic mail messages around the world, engage yourself in the exchange of ideas through electronic newsgroups, and use web browsers and other internet tools to search and find needed information. The internet is known as a very large set of connected computers, whose users make up a worldwide community. 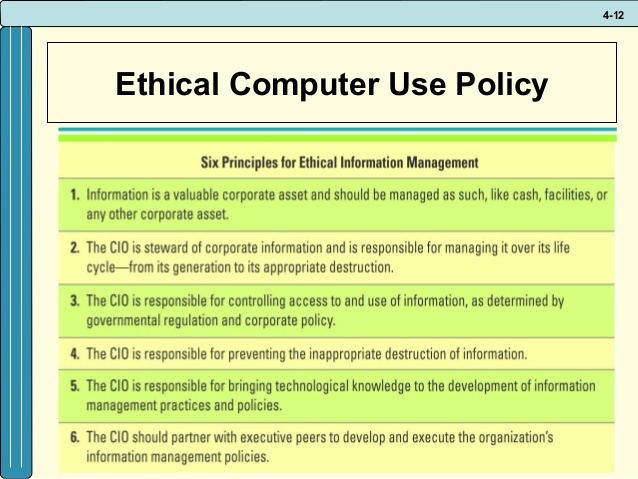 In addition to formal policies, regulations, and laws which govern your use of computers and networks, the internet user community observes informal standards of conduct. These standards are based on common understandings of appropriate, considerate behavior which evolved in the early days of the internet when it was used mainly by an academic and highly technical community. The internet now has a much wider variety of users, but the early codes of conduct persist, crossing boundaries of geography and government, in order to make using the internet a positive, productive, experience. You are expected to comply with these informal standards and be a “good and model citizen” of the internet. Depending on the gravity of the situation, strict penalties may be imposed under one or more of the following: University of California regulations, UC Berkeley regulations, California law, or the laws governing the United States of America. Minor violations of this policy or those that appear accidental in nature are normally handled via electronic mail or in-person discussions. More serious infractions are handled using formal procedures. In some situations, it may be necessary to suspend account privileges to prevent ongoing misuse while the situation is under investigation. Infractions by students may result in the temporary or permanent restriction of access privileges, notification of a student’s academic adviser and/or referral of the situation to the Office of Student Affairs. Those by a faculty or staff member may result in referral to the department chairperson or administrative officer. Offenses which are in violation of local, state, or federal laws may result in the restriction of computing privileges and will be reported to the appropriate university and various law enforcement authorities. For further clarifications and questions pertaining to Berkeley Campus computing and communications resources, including this Computer Use Policy, contact 123@berkeley.edu (link sends e-mail). Related policies are available online at the Campus IT policies website. If you would like to obtain paper brochure copies of this Computer Use Policy, including quantities to distribute at your campus location, please contact 456@berkeley.edu (link sends e-mail). Report misuse of campus electronic communication resources to 789@security.berkeley.edu (link sends e-mail). For abuse from off-campus, see: Responding to Inappropriate Use of Computing and Network Resources. It is important to remember that there is no standard policy to all countries and that how each institution sets its own policies is entirely up to them.